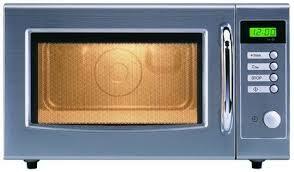 Our local microwave repair Mississauga technician can help you with any problem regarding this small appliance. We do our best to cover your service needs as fast as possible. Our tech will arrive at your home with the right equipment to check the small oven and address its problems. There are replacement parts and diagnostic equipment in every service truck and so each service is completed in a single visit. Get in touch with Appliance Repairs Mississauga if your microwave is acting up. Microwaves are small ovens. Their technology is improved today and so these small appliances are used for multiple cooking purposes. From making popcorn to heating up food or preparing dinner, microwaves are some of the most useful kitchen appliances. And so you can expect fast microwave repair service in Mississauga, Ontario, from our company. We carry out the microwave service based on our diagnosis. And you can rest assured that we use the best equipment in order to diagnose appliance problems. You can also be sure of our skills and long experience. We have been servicing microwaves for a long time and are fully updated with the most advanced models. Whatever the problem, our tech will find and fix it. Since we are professional service providers, we will only provide you with high quality appliance parts. Whichever model you have, our pro will be prepared to replace the broken or burned out microwave parts on the spot. We offer affordable microwave repair in Mississauga and respond quickly when you need our help. So there is no point of throwing away your kitchen appliance before letting us check if it can be fixed. 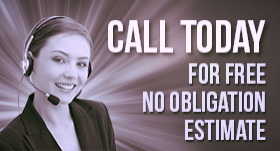 Call us today to troubleshoot its problems.